Abramovich couldn’t buy him a fancier laptop? #AskJose Have you ever regretted not signing a player? Hi @WarAndSetPiece of course, many. this is normal #Special1s #AskJose. JM. I like how he added “this is normal”. Didn’t José get the memo? Special Ones are supposed to make all the right moves all the time! Especially when their striker corps is Demba Ba, Samuel Eto’o, and Fernando Torres! Hi @antitikitaka I was champion with all of them and respect all of them. I cannot choose between them #AskJose #Special1s. JM. I BELIEVE YOU MEANT TO SAY “ZLATAN”, JOSÉ. Hi @ADHamilton91 It is to find a balance. if focus is just today and dont care what next, if other way, present doesnt matter. #AskJose. JM. José @’d the wrong person here. 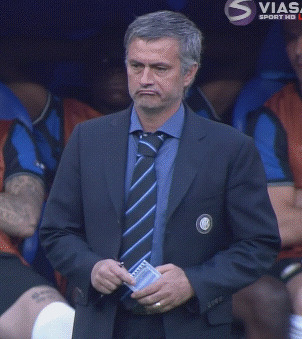 That’s okay, Mou, first day on the job. … Italian is strategical. More defensive in italy. I disagree. More strategical #Special1s #AskJose. JM. Philosophy: “PARK BUS PARK BUS PARK BUS.” Also, who or what exactly is he disagreeing with? Hi @DaveSimpson92 I have no idea #AskJose #Special1s. JM. Hi @bouncebckbltrx The cheese from where I live in Portugal – AZEITAO cheese #Special1s #AskJose. JM. Go figure on the guy asking about cheese, but regardless, Here’s some info on it. Maybe that’s what he had for dinner. #AskJose Italy, Spain, England or Portugal – which country was the nicest to live in, whilst you were a manager there? …England more relaxed socially. After match, life normal in streets. Answer as a manager to live is England #AskJose #Special1s. JM. Chelsea supporters are racist, rioting idiots too, José. Go another year without a trophy and see what happens. Hi @TalkOfTheShed I want it in the right time. i dont want them to come and not to succeed #AskJose #Special1s. JM. Hi @Shayne_afc no I do not #AskJose #Special1s. JM. Eighteen Chelsea players are set to play in Brazil this summer. So…go Belgium/Brazil/Cameroon/England/Germany/Ghana/Nigeria/Netherlands! Hi @AbelGuadarrama 10yrs ago i would say be yourself and believe in urself.Now, i would say be what people want you to be #AskJose. JM. “Be what people want you to be”. Successful? A trophy winner? Sure a lot of supporters would like to see that, all while utilizing proper/entertaining personnel purchased with money from your filthy-rich boss! Hi @WhyAlwaysDean in this moment no cassette or no Cds but i of course had both #Special1s #AskJose. JM. These questions, man. Anyway: has José Mourinho converted to digital? What’s in his iTunes library? Should have asked. I mean, he looks like Sideshow Bob, so it’s possible. Good thing Chelsea don’t have any players named Bart. Hi @8Mick beans everytime #AskJose #Special1s. JM. Only thought was of this. Hi @SamsDadStu for Chelsea, i go for Peter Osgood. He is important part of Chelsea history #AskJose #Special1s. JM. Damn it, I was hoping for Ruud Gullit. @YahooNewsUK @YahooSports #AskJose Do you see a managerial future for Didier Drogba? Hi @Pascualovic I still see him as a player #AskJose #Special1s. JM. Hi @Lewjt I have no idea, ask my son !!! #AskJose #Special1s. JM. Gonna guess it’s less than seven. Maybe. Unless he likes to take out his frustrations after watching his side battle to drab 0-0 draws with Norwich or 0-1 losses at Crystal Pulis. @YahooSports #AskJose Your half time talks always seem to weave magic, from your teams' 2nd half performances. What do you tell them? Hi @FakeWinger depends, sometime very little. other times, ten mins not enough. Sometimes tactical some mental #AskJose #Special1s. JM. Hi @Vai08lampard never #AskJose #Special1s. JM. Aw, but we’re having so much fun! Although we would miss his press conferences. Hi @tania_dunk, I have no lucky jackets #AskJose #Special1s. JM. Give him control of the NYSE next. Hi @princessmozza No. I am aware that in football that is not important #AskJose #Special1s. JM. #AskJose @YahooSports which was tougher? Winning champs league with inter or porto? Hi @rudra_b, both, because noone was a favourite to do it #AskJose #Special1s. JM. Hi @thomaselgenberg Not leadership but a better coach. Football culture to work in many countries have to dominate differences #AskJose. JM. #AskJose will you work during the summer or enjoy a holiday? Hi @ahmz_osman till end of June and work and from then to mid-July I enjoy holidays but know that phone and pad are with me #AskJose. JM. Acquiring Diego Costa would count as a holiday. He’ll eat that Portuguese cheese any time of the day. Hi @SeBlueLion We have to try to predict things, that is intuitive part of job. you have or dont have #AskJose #Special1s. JM. I knew he predicted Villa’s 1-0 win in March. Hi @matthewlynch91 Fulham Road #AskJose #Special1s. JM. #AskJose what is the first quality you look for when buying a player?? Hi @Indianabones79 the first quality is always talent #Askjose #Special1s. JM. So that explains Shaun-Wright Phillips! Hi @RavensChris The best are the ones that support their teams in the worst moment, Easy in bad moments #AskJose #Special1s. JM. Hi @Dom_Woodruff, great person and I was a very young coach so a part of human side and coaching fantastic. Important influence #AskJose JM. @YahooSports #AskJose Hi Jose, what is the one piece of advice you'd give to a young coach, aspiring to work in professional football? 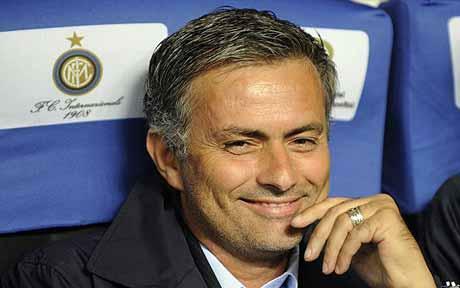 Hi @LawrenceShamieh I have already answered #Special1s #Askjose. JM. Brilliant. Ordinarily, I would avoid a duplicate appearing in my mentions–but not José! Hi @DTradgett I decide not to eat #AskJose #Special1s. JM. THE CHEESE. IT’S THE CHEESE. THE CHEEEEEEEEEEEEESE. Hi @hazardinhai would not go to watch them live #AskJose #Special1s. JM. Hi @hamudi09 my players #AskJose #Special1s. JM. A) plural and B) Sir Bobby Robson doesn’t count anymore. Hi @domdomaingue I am not saying where I am going !!! #AskJose #Special1s. JM. It is at this point that Mourinho begins to tire of the Twitter machine. Hi @Nahid_Choudhury I really dont know #AskJose #Special1s. JM. I’ll answer that for you: Atlético. Hi @Scola_B no #AskJose #Special1s. JM. #AskJose Can I have 5 seconds? Remember this day, for all-time. José Mourinho, one of football’s most unlikable characters, yet one of its most fascinating, decided to have some fun on the internets. This entry was posted in Frivolities and tagged Chelsea, Mourinho. Bookmark the permalink.